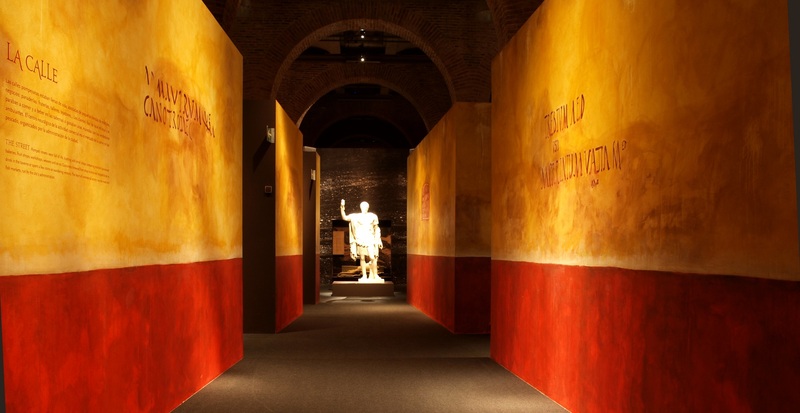 This museographic project reviews the history of the city of Pompeii, its moments prior to the catastrophe and its archaeological discovery promoted by Charles III. 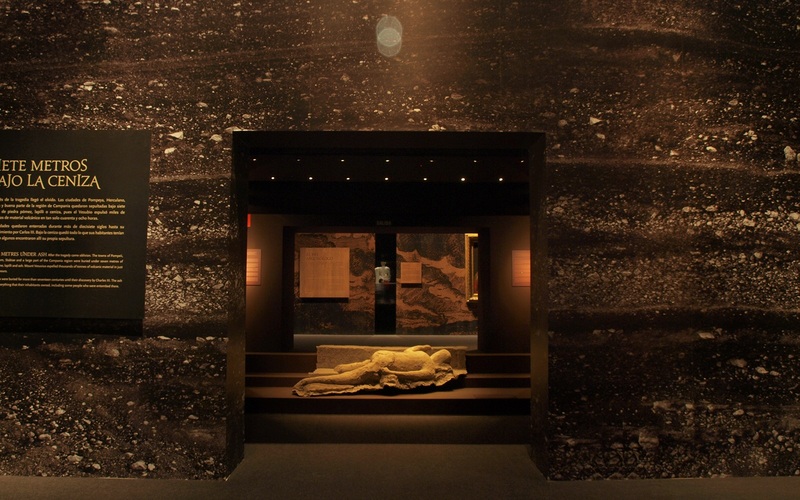 Pompeii, catastrophe under Vesuvius invites us to take a journey through the life, death and rebirth of the famous Roman city that was completely buried after a terrible volcanic eruption. 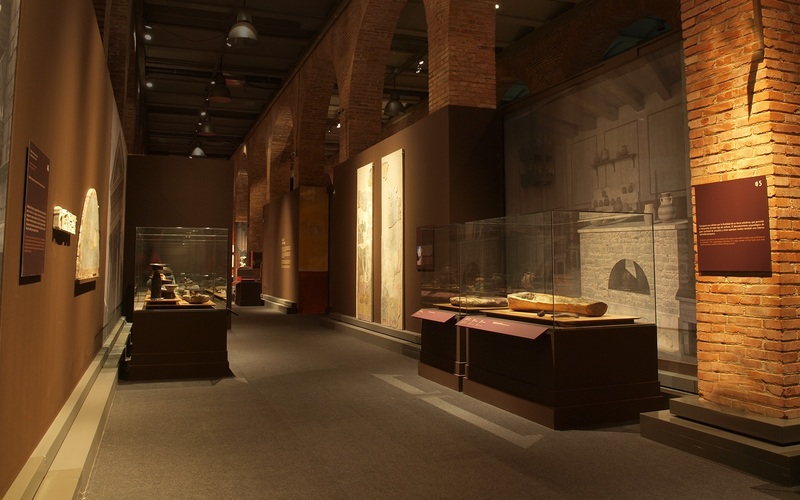 To that end, the columns that break up the space of the exhibition hall at Canal Isabel II have been integrated into the scenery, to recreate the streets and interiors of dwellings in Pompeii. 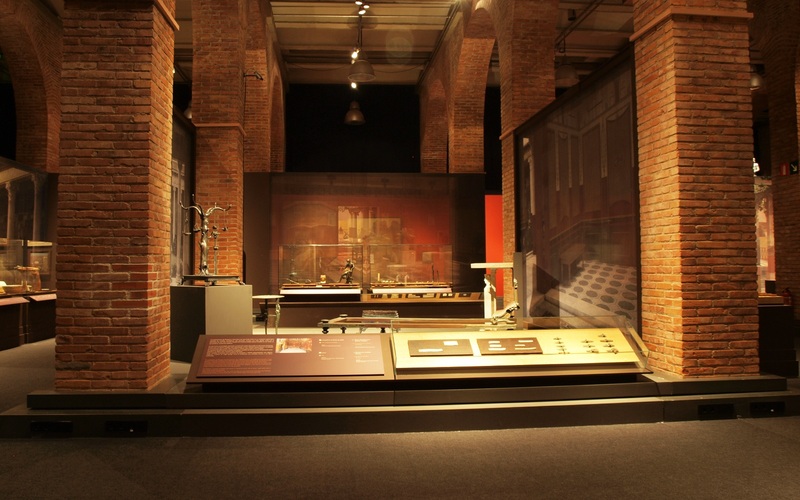 In the first area of the exhibition, we observe these urban and domestic spaces just before the catastrophe. 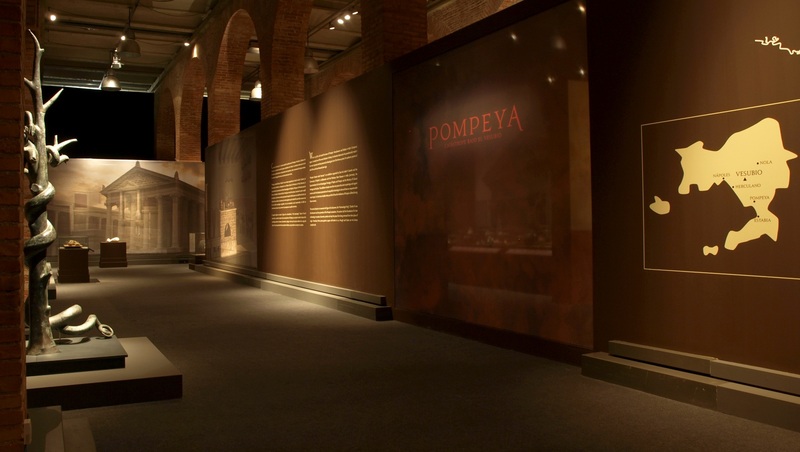 It is a more ethnographic space, which shows us the daily life of the Pompeiians. 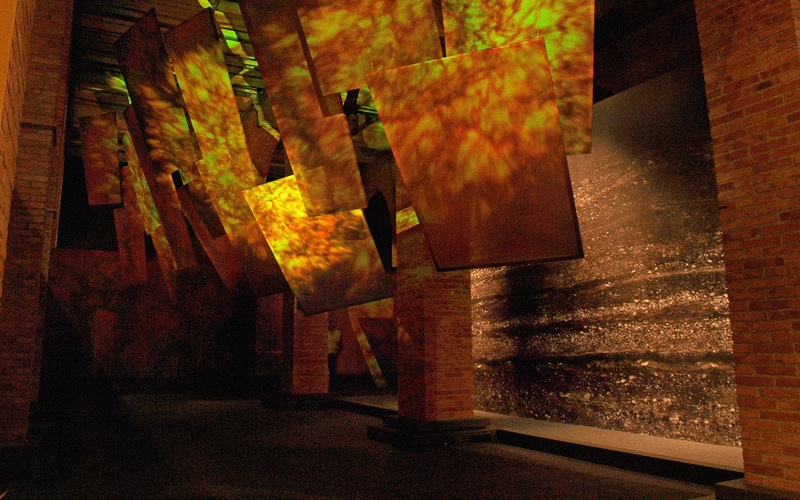 From there, the Via dell'Abbondanza, the city’s main street, leads us into the next space, which depicts the eruption of Vesuvius through an audio-visual installation we designed using 28 screens arranged in a chaotic, irregular pattern, reproducing images and real sounds from volcanic explosions. 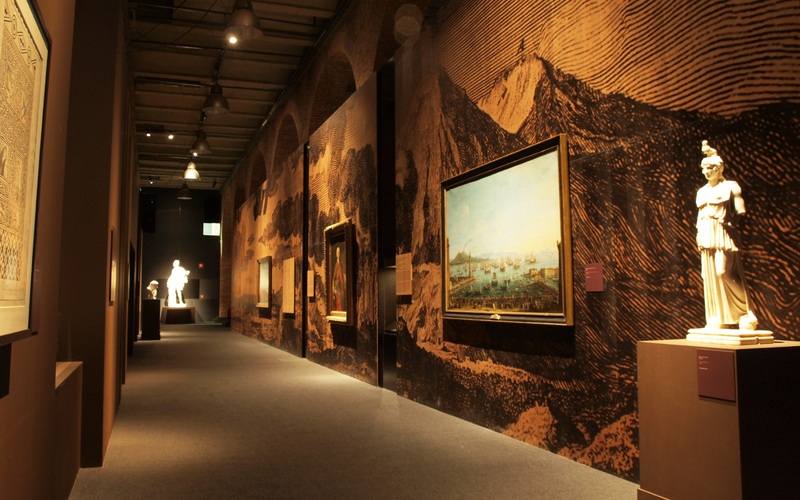 The third area in the exhibition brings Pompeii back to life through the archaeological excavations spearheaded by King Charles III in the 18th century. Like a huge block of hardened lava, buried centuries ago, this room contains the plaster mould of one of the inhabitants who was burned on the stairs of a house, a material witness to the tragedy. 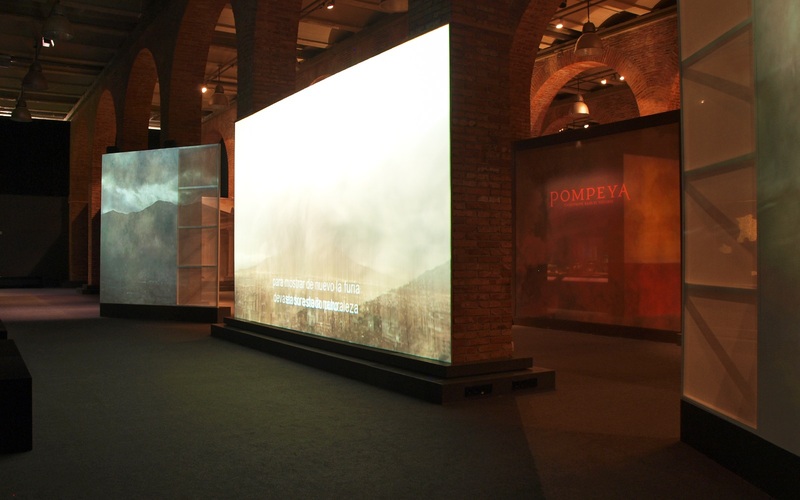 The axis that is marked by the Via dell'Abbondanza, and which structures and the entire exhibition by creating its visual hierarchy, ends against a large wall that depicts the Pompeian landscape. 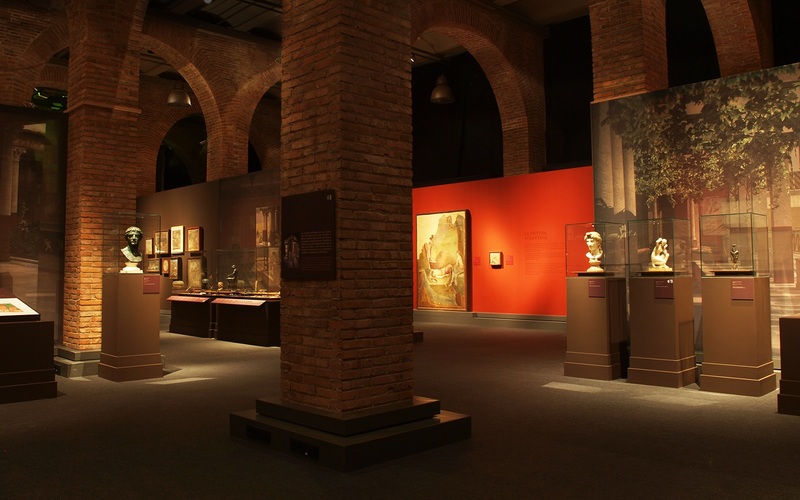 A crack in the centre of the wall displays the smallest piece in the exhibition, the presence of which was intuited from the beginning: the ring that Charles III handed over to the Kingdom of Sicily and Naples before leaving for Spain to reign as king – a symbol of the recovery of this tragic episode in history.